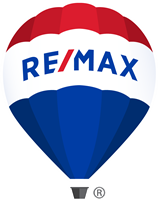 RE/MAX of Western Canada is making progress in its pursuit to raise awareness for the need of organ donors in our region. RE/MAX is proud to spread the word through paid advertising and social media supporting the Canadian Society of Transplantation’s National Organ Donor Awareness Week. Watch for awareness commercials every April and October. Click Here for Western Canada Organ Donor Contacts.